1938 Ajax New Century Dual Fidelity - £250 Exc. Hawkes Merged with Boosey in 1930 and the pyramid badge was introduced in 1935. 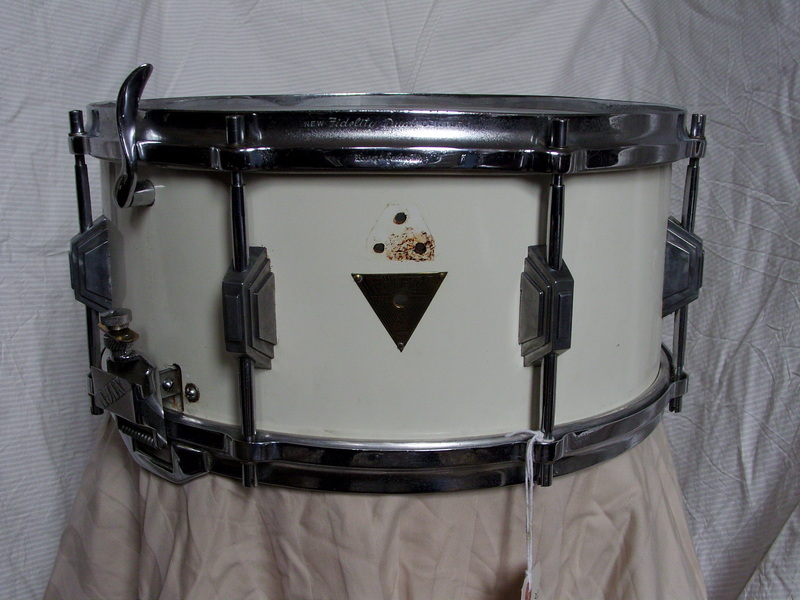 Art Deco style was the height of fashion and along with the newly invented chromium plate was put to use by all the major drum companies in order to establish their own image and move away from generic fittings. This period also saw the introduction of die cast hoops, again styled for brand identity. Original early coiled wire, individually tunable.